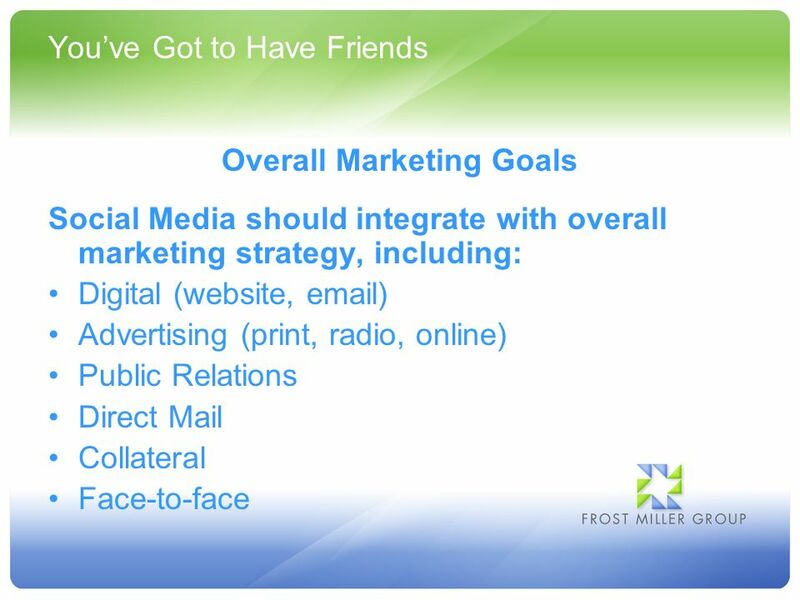 7 Youve Got to Have Friends Social Media Strategy Twitter: Share information and showcase expertise. 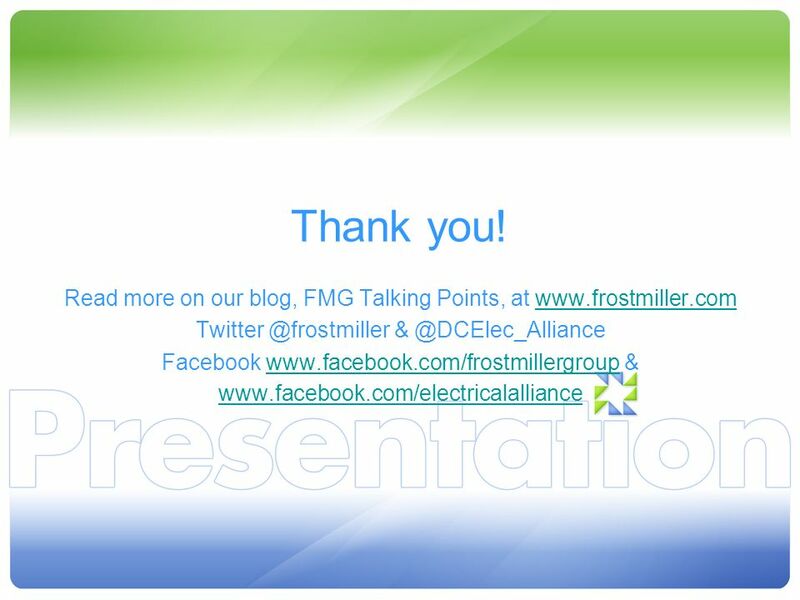 Connect with general contractors, BIM experts, green building experts, journalists and bloggers. 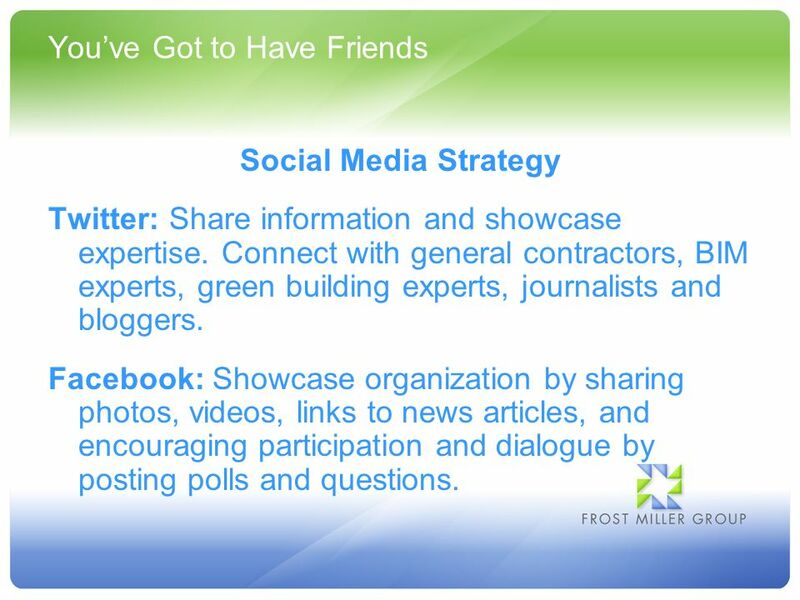 Facebook: Showcase organization by sharing photos, videos, links to news articles, and encouraging participation and dialogue by posting polls and questions. 9 Twitter Join the Conversation. 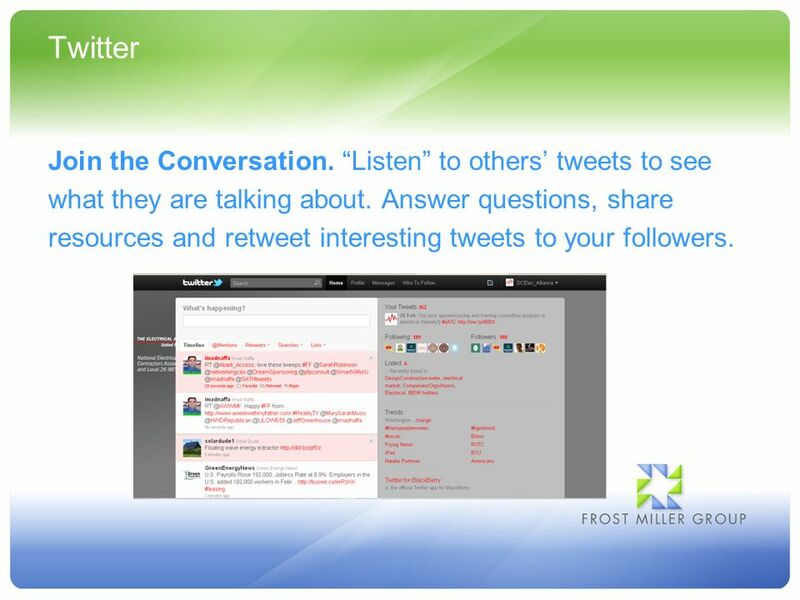 Listen to others tweets to see what they are talking about. 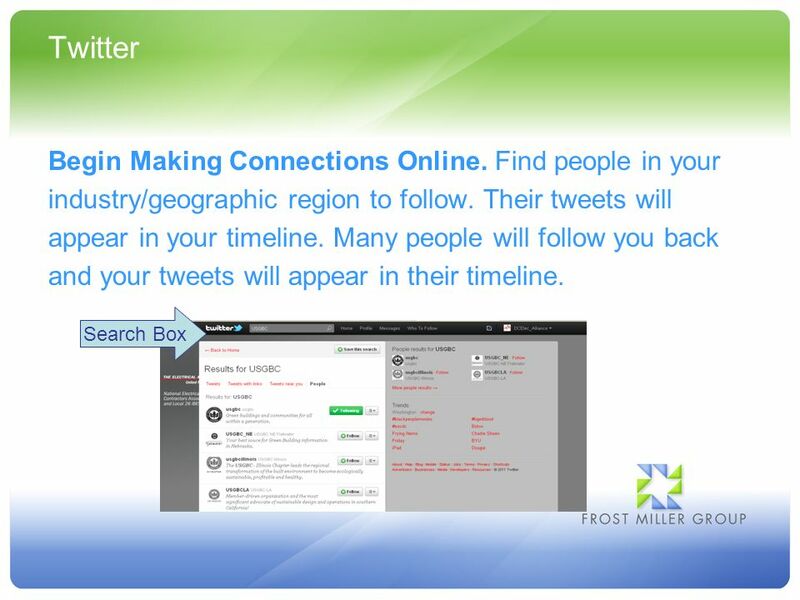 Answer questions, share resources and retweet interesting tweets to your followers. 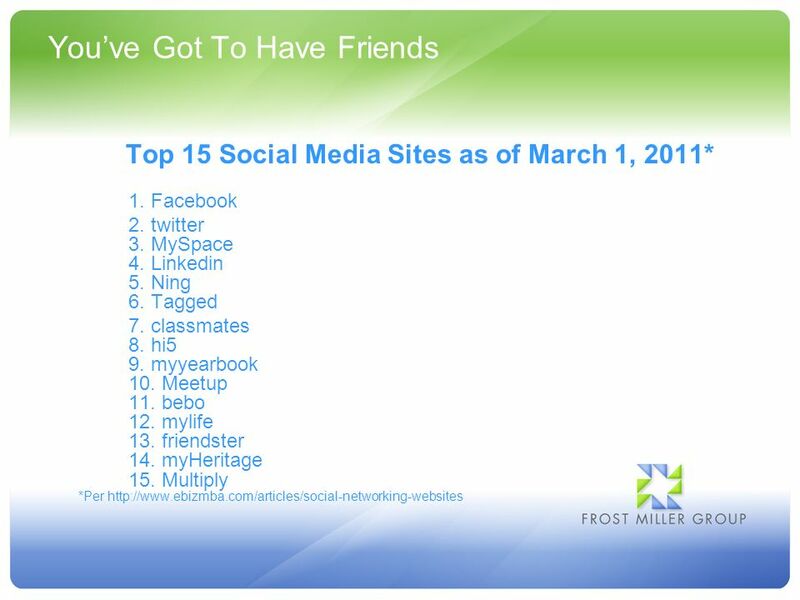 10 Twitter Tell Your Offline Connections You are on Twitter. 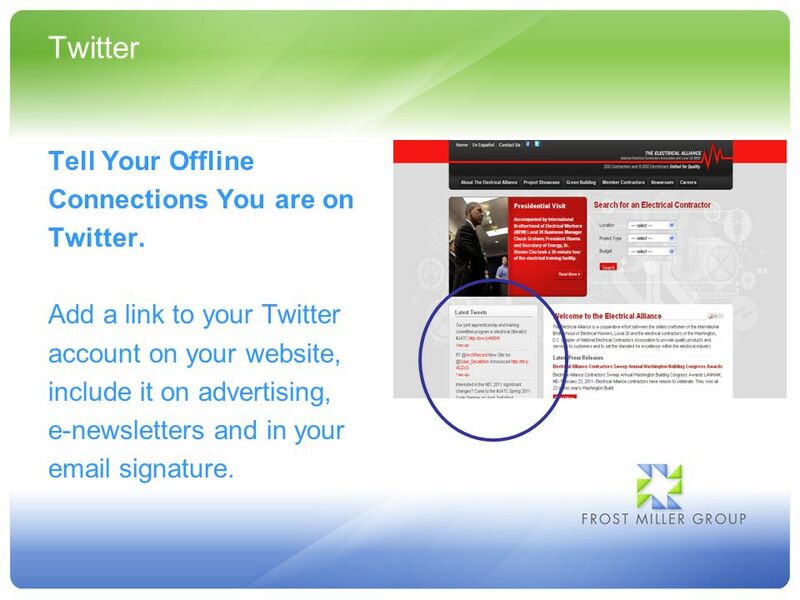 Add a link to your Twitter account on your website, include it on advertising, e-newsletters and in your email signature. 11 Twitter Stick With It! 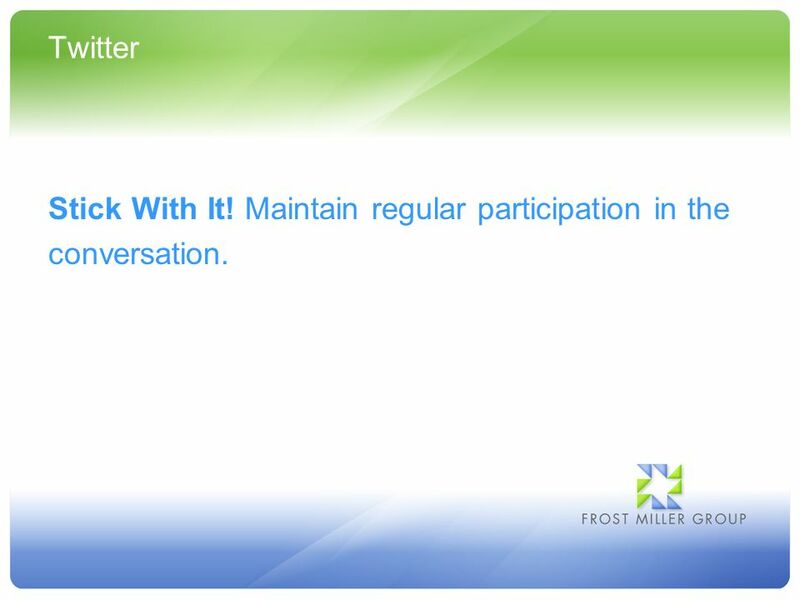 Maintain regular participation in the conversation. 12 Facebook Start Your Facebook Page. 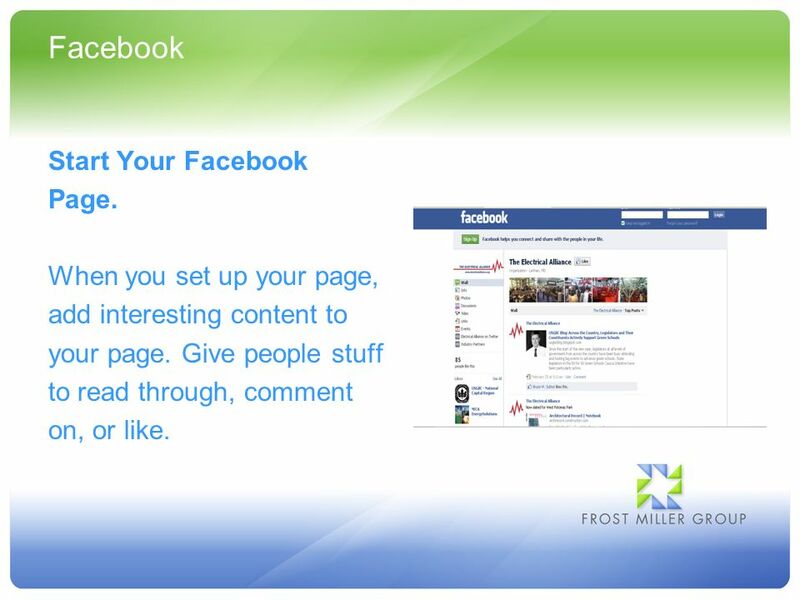 When you set up your page, add interesting content to your page. Give people stuff to read through, comment on, or like. 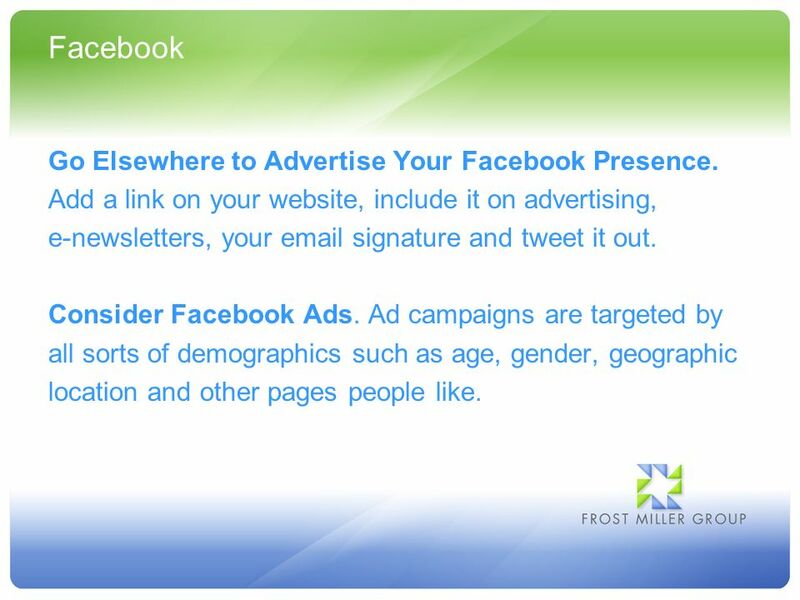 13 Facebook Go Elsewhere to Advertise Your Facebook Presence. Add a link on your website, include it on advertising, e-newsletters, your email signature and tweet it out. Consider Facebook Ads. Ad campaigns are targeted by all sorts of demographics such as age, gender, geographic location and other pages people like. 14 Facebook Keep it Up! 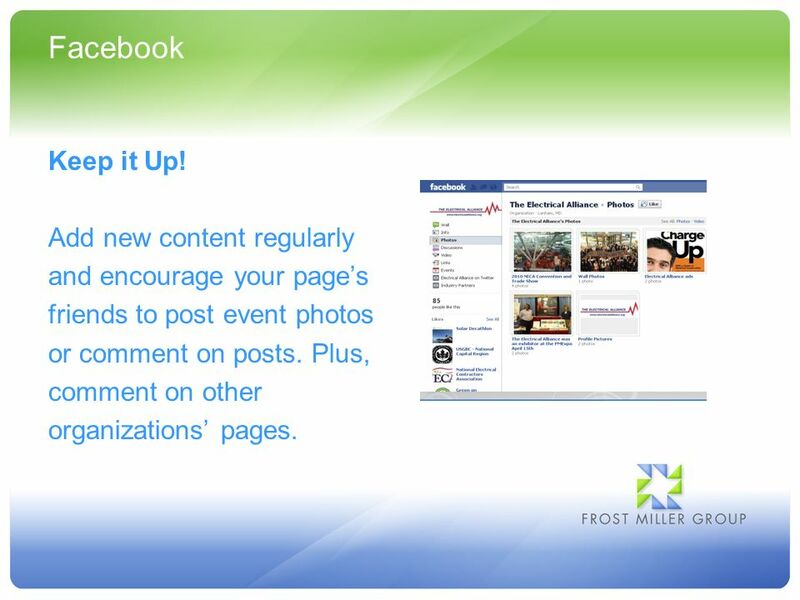 Add new content regularly and encourage your pages friends to post event photos or comment on posts. Plus, comment on other organizations pages. 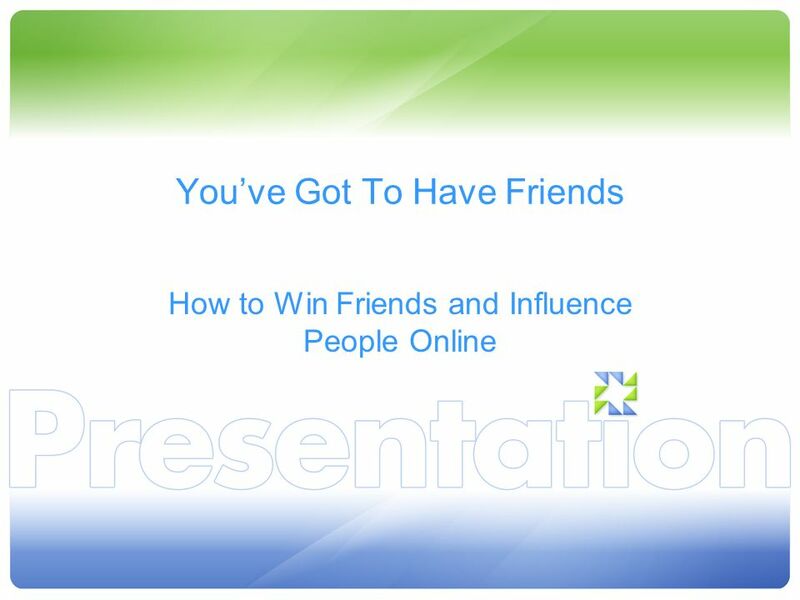 Download ppt "Youve Got To Have Friends How to Win Friends and Influence People Online." Social Media and the University of Bath. 10 th September 2010. 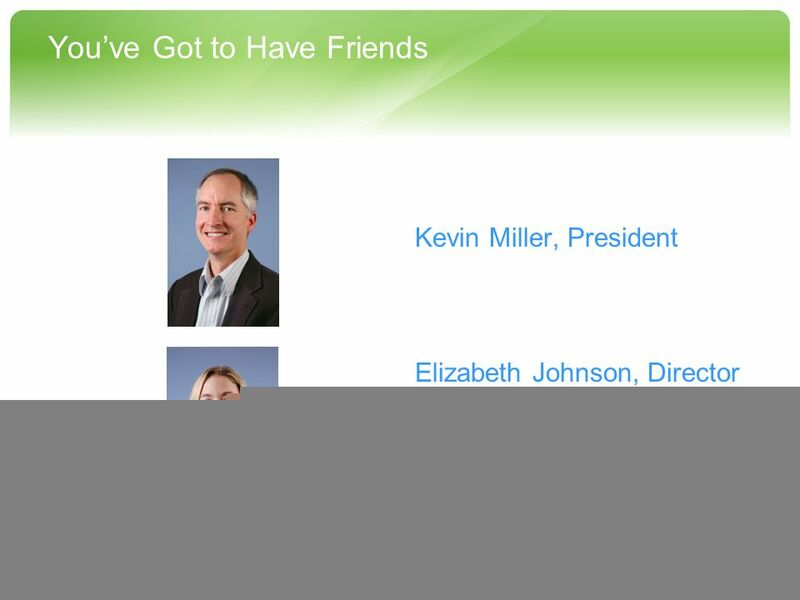 NHnetWORKS December 14,  Facebook is a global Social Networking website that is operated and privately owned by Facebook, Inc.  Users can add. 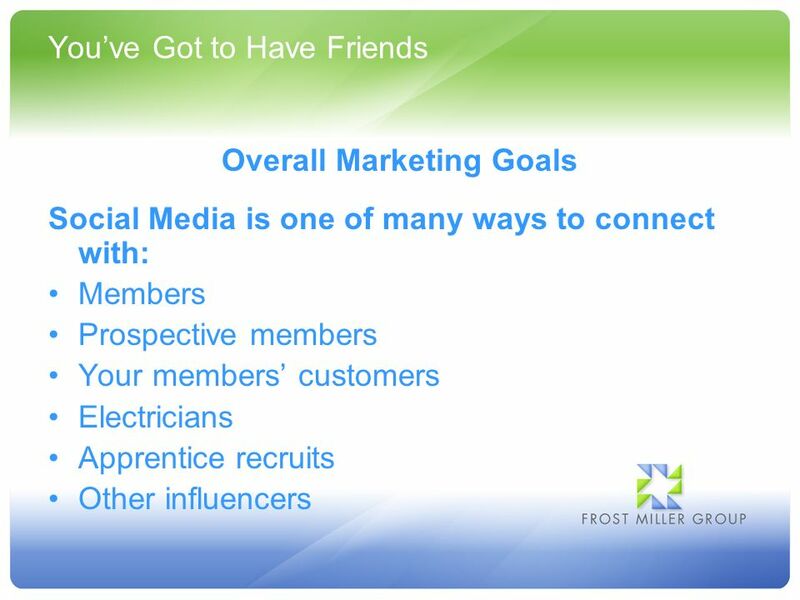 Jan Zimmerman, Author Web Marketing for Dummies Social Media Marketing All-in-One for Dummies Facebook Marketing All-in-One for Dummies Watermelon Mountain. 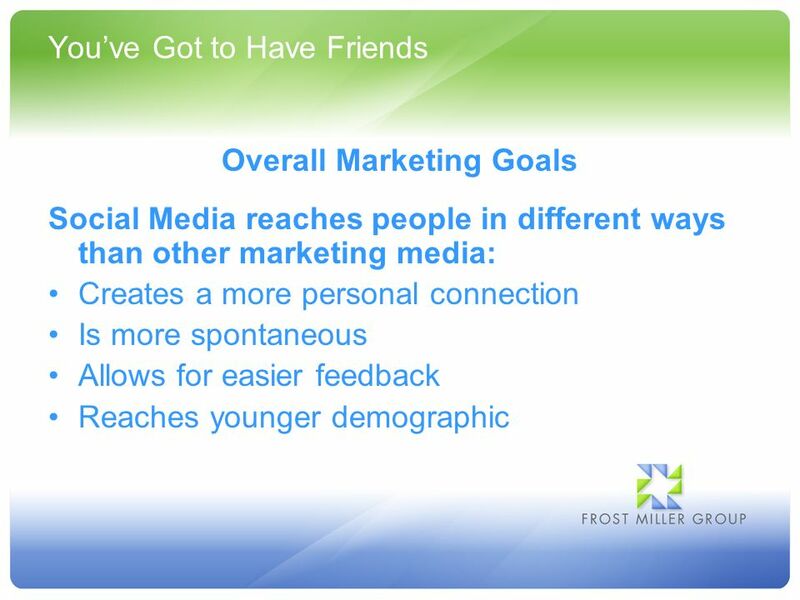 Four Ways to Leverage Social Media in Your Marketing.